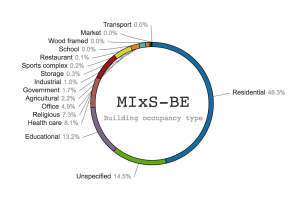 New paper: Taxonomic annotation of public fungal ITS sequences from the built environment – a report from an April 10–11, 2017 workshop (Aberdeen, UK) – microBEnet: the microbiology of the Built Environment network. Figure 1. Analysis of the built environment sequences for country of collection. Country centroids based on the geographical centres of contiguous country land masses are marked with bubbles of different size on the global map to indicate the number of built environment sequences originating from these countries as stated explicitly in the underlying INSDC records or as restored during the present effort and in Abarenkov et al. (2016) (57 distinct countries, sequence count ranging from 1 to 3,091). The figure is based on Abarenkov et al. 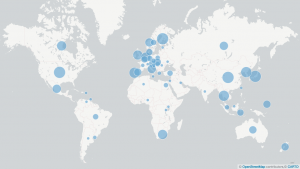 (2016) plus the data added during the workshop, such that it indicates the scientific state of ITS-based Sanger-derived sequencing of the built mycobiome as of spring 2017. Figure 3. 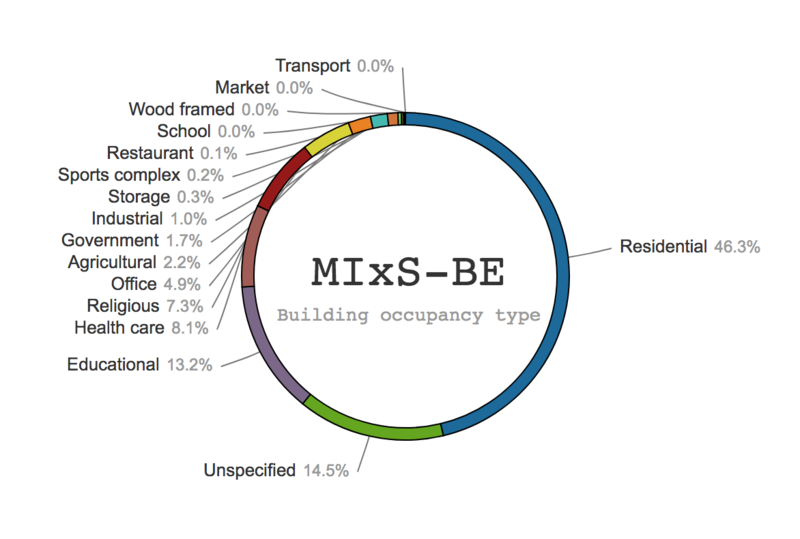 Analysis of the MIxS-BE “building occupancy type” (type of building where the underlying sample was taken). The figure is based on Abarenkov et al. 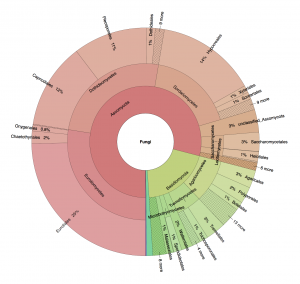 (2016) plus the data added during the workshop, such that it indicates the scientific state of ITS-based Sanger-derived sequencing of the built mycobiome as of spring 2017. Figure 2. Krona chart of the taxonomic affiliation of the built environment sequences down to order level. The Krona chart lists all annotated built environment sequences except those classified as Fungi sp. (32%) and those of non-fungal origin (1%). An interactive version of the Krona chart is provided as Supplementary material 4. The figure is based on Abarenkov et al. 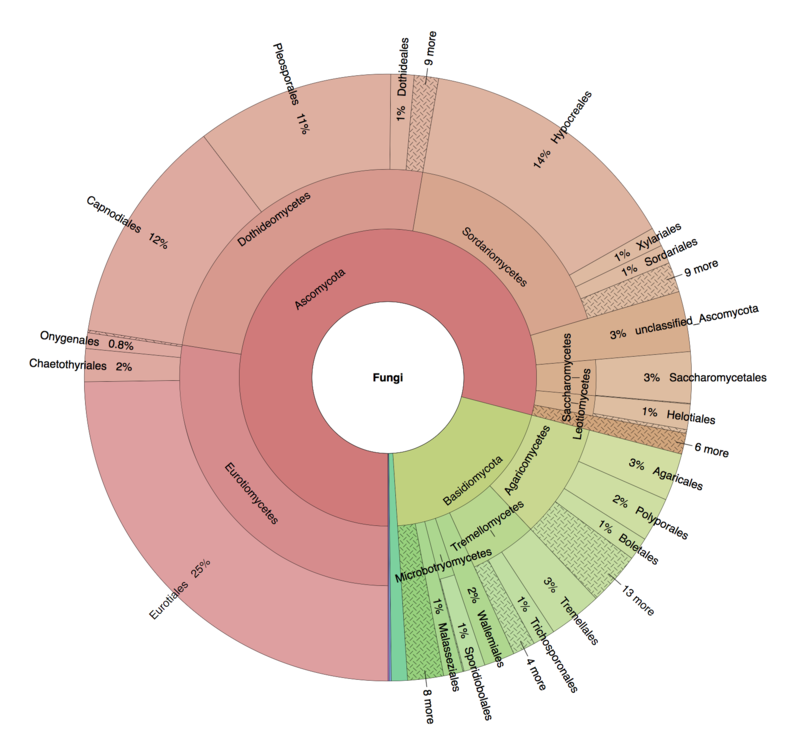 (2016) plus the data added during the workshop, such that it indicates the scientific state of ITS-based Sanger-derived sequencing of the built mycobiome as of spring 2017. Many thanks to all workshop participants for making this happen!